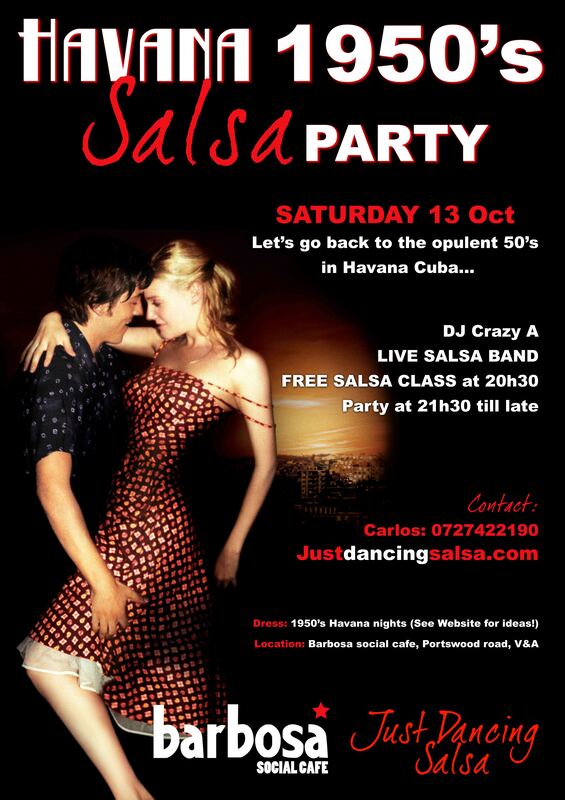 See you at the Havana 1950s Salsa Party! 13 October! 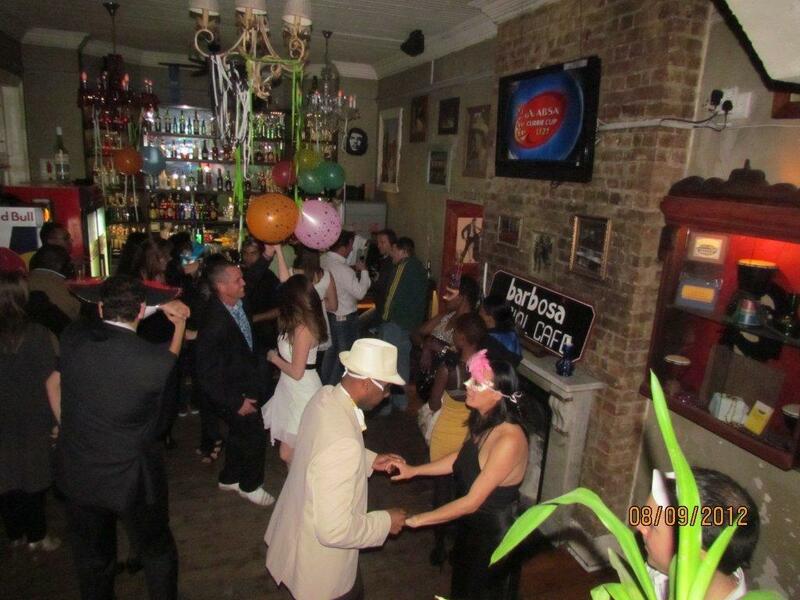 1950’s Havana Salsa Party! !- 13 October! Does this picture excite you? 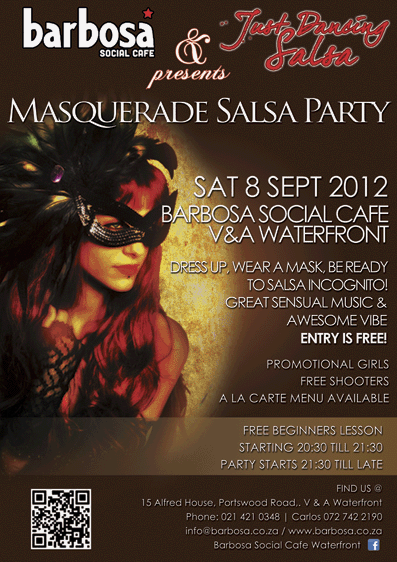 13 October at Barbosa Social Cafe! Arriving in the car park of Barbosa was nerve-wracking- you were wearing a mask and feeling a little bit silly… but as soon as you get out of the car another car load of people get out across the way and they too are masked! Immediately your feelings turn to hope! You smile at them and begin to walk inside. 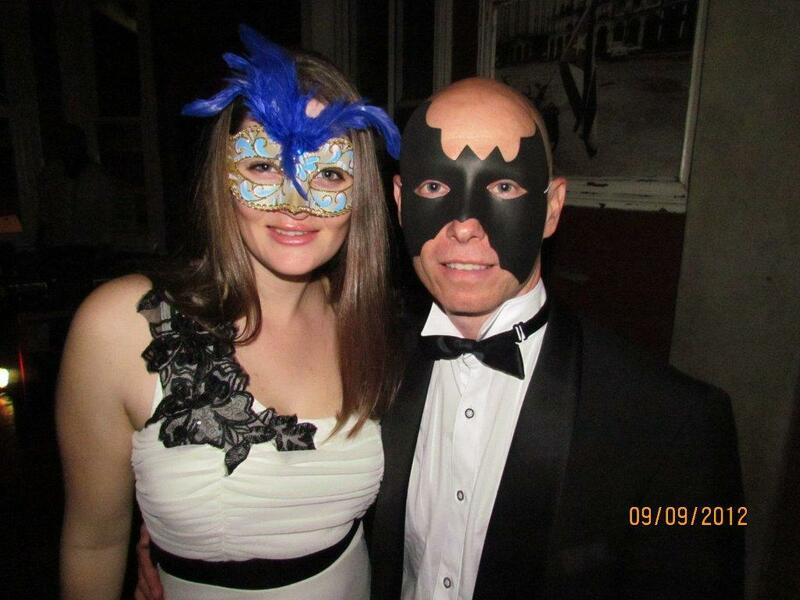 Outside, the tables are empty- it is still winter and early in the evening, but when you round the corner you walk into another group of people- dressed to the nines and masked! Now you are nervously excited, this party could potentially be one to remember! 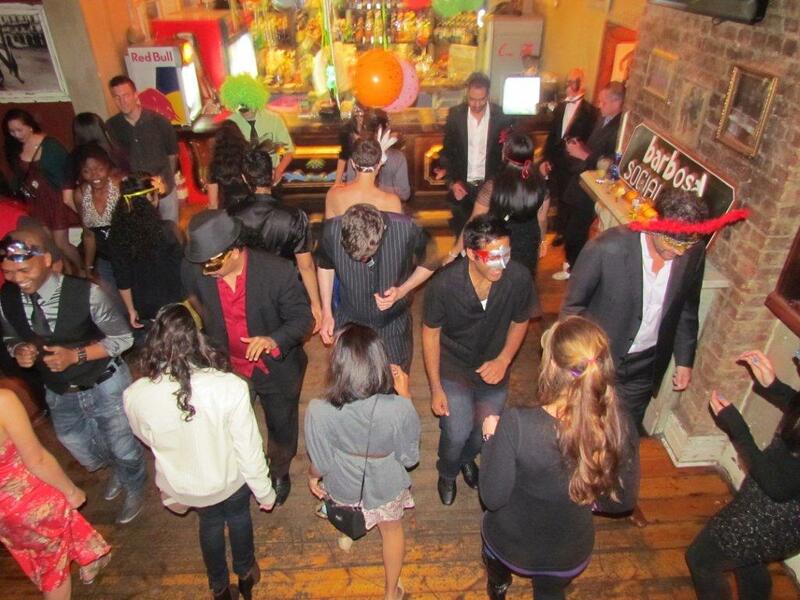 Inside the DJ has begun playing and a much larger crowd is waiting at the bar, masked and hopeful! The lesson begins, some are masked and some not, but the vibe is electric. It is an absolute squeeze! You would never have thought so many people could be in this room at the same time, never mind learning how to salsa in it! But nonetheless everyone is moving, everyone is learning! The music is played after a few steps have been explained, and the fun begins- some people are falling over their feet, others are getting their groove on, everyone is loving it! Masked faces are smiling and laughing! Partners change, a new mask is dancing in front of you; you move with the music, the congas are by now beating in your heart. The lesson finishes, you have learnt your moves and are ready to party! DJ Crazy A starts with a great song, people around you are hugging and greeting, chatting or running to replenish at the bar. Next to you a couple starts dancing, then you notice couples around you all spinning and moving while the music just gets better. Determined to join on the fun, you grab a partner and put into effect the moves you just learnt, soon you start playing with other moves. The happy bubble in your stomach grows and grows! The song ends, you thank your partner, get a new one and dance the next song also. And the next one, and the next one. 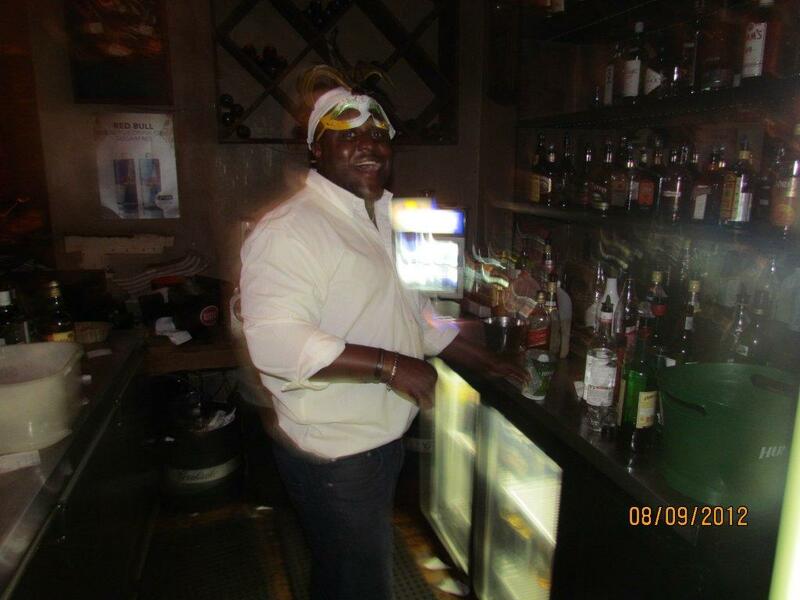 Eventually your thirst is greater than your need to dance and you finally make it to the bar. You get a drink and move to your group of friends. 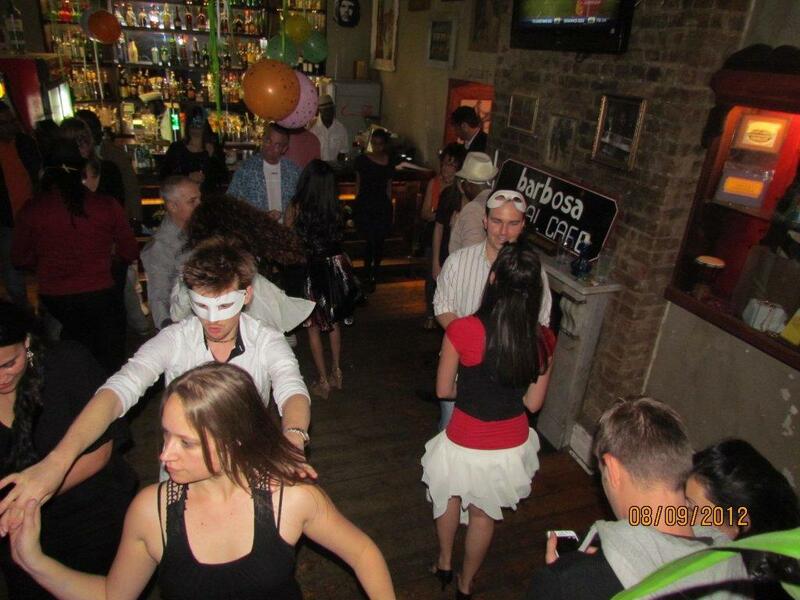 The hours roll swiftly by but you notice no time, you are having a blast- between friends and salsa, the bar and meeting new people and great music, you are loving it! During a dance you notice the drums are highlighted in the current song, you look up and see a percussionist next to the DJ. He is rocking it out! DJ Crazy A lowers the music and the beat of percussionist Keith Coxon rises to a new level. 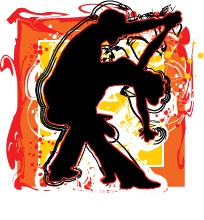 Your blood pounds along with his salsa rhythm and you are bursting to match your movement to his exhilarating drumming. In the following songs Keith and the DJ get a brilliant groove going- an amazing party just got even better! By the end of the night, or rather early the next morning your feet are burning, yet your heart is as high as a kite having spent your Saturday night in the perfect way! Is this something of your experience last Saturday? THE NEXT PARTY: 13 OCTOBER! Watch this space for more info!! The fastest way to learn salsa! 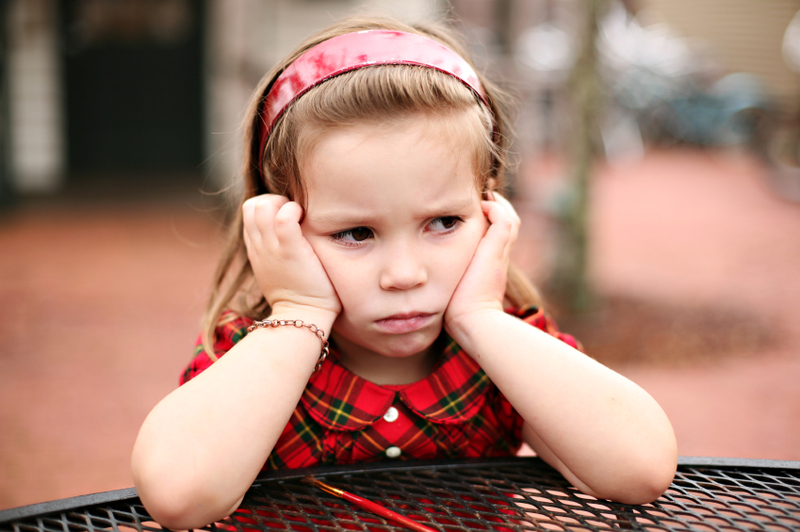 Learning can be frustrating. Many people get very despondent with how slowly they progress when they start to salsa. They lose confidence and think that maybe the dance is just not for them. 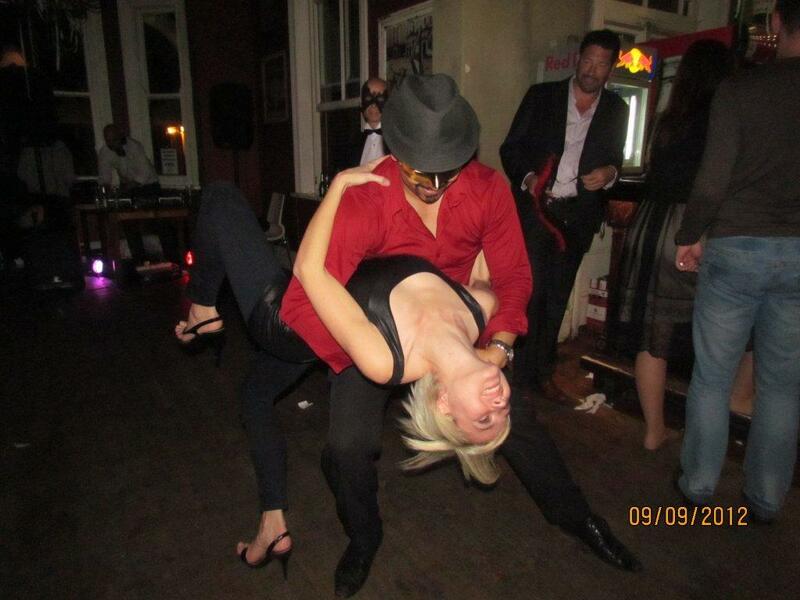 Salsa, like anything in life is learnt by practice. 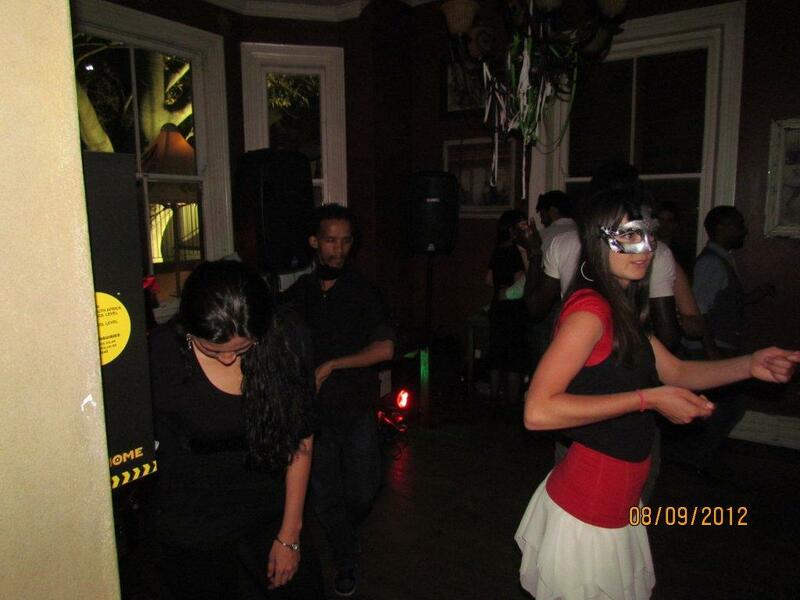 Therefore, the quickest way to learn how to dance salsa is by immersion. Immerse yourself in the dance. 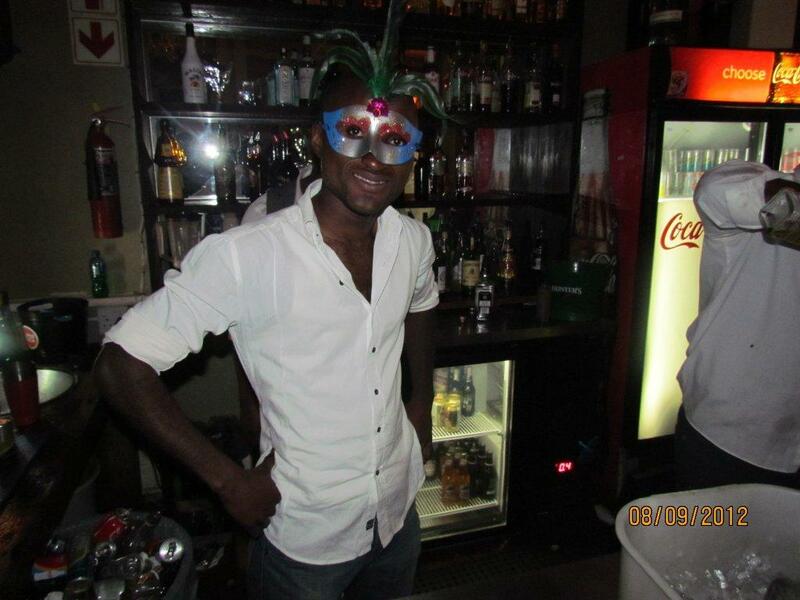 Find a place to dance as many nights of the week as possible. Contact us if you are unsure of where you can go in Cape Town. We have lately taken a beginner to an advanced level within 6 weeks merely because she danced 5 nights a week! The more hours you put in, the quicker your ability and confidence will grow. 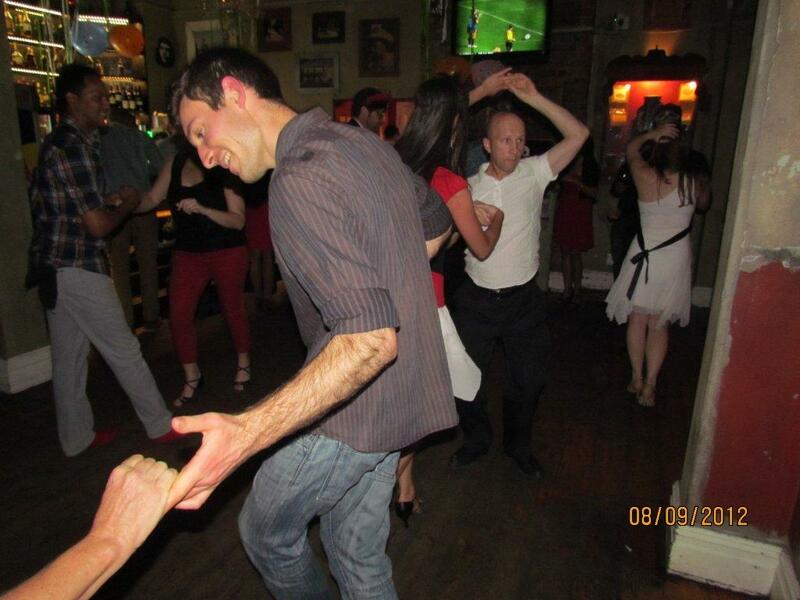 When you are out dancing, dance with everyone! Be certain to dance with those who are better than you as well as with those who are at your level. Dancing with someone at your own level is great, you learn and play and practice together. Dancing with someone who is above your level is like a free 4 minute private lesson. Every move is a lesson learnt- cherish it! Every track is an opportunity- don’t waste the music! Another means of immersion is to listen to salsa music- all the time. 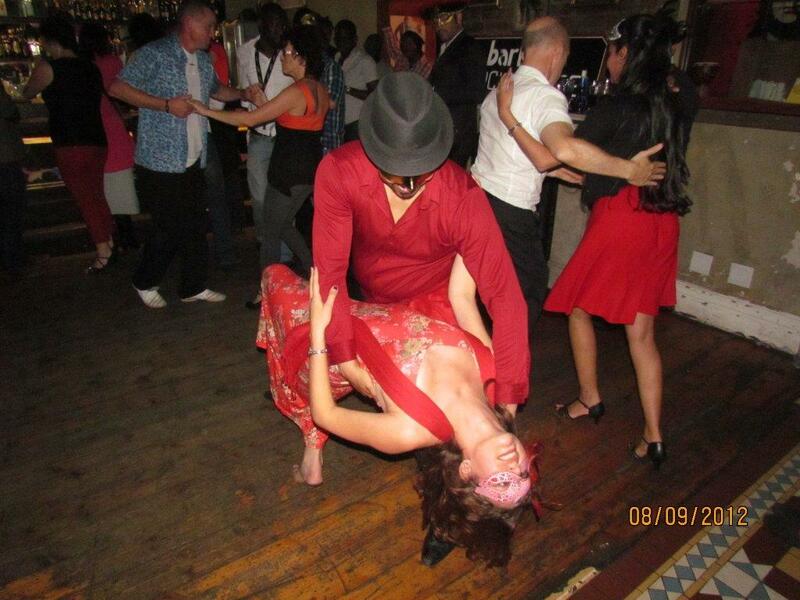 Salsa music is very complex and many hear it simply as a whole lot of noise in the beginning of their salsa journey. The more you listen to Salsa music the more your ear and then your body will be able to understand it and respond to it. 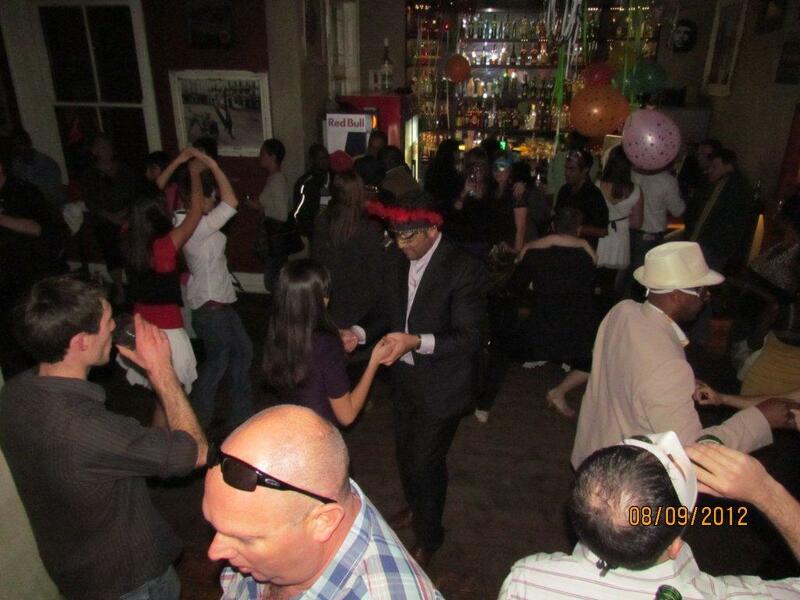 So, fill up your Ipod with some amazing salsa tunes and play it all day. Here’s to hours and hours of fun!